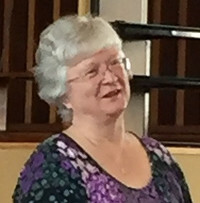 Jean Edmister assumed duties as Pastor for Trinity Amherst in mid-2018. Jean came to us following previous appointments at Pendleton Center United Methodist and Niagara Falls First United Methodist. Cristen Gregory serves as the Music Director at Trinity. In addition to her duties at the church, she is involved in area theater arts, with extended work at Canisius College and Niagara University. Linda provides quality nursery care during worship for infants and for children who are 1-5 years of age.